It's hard to believe that I've been doing music for well over a decade now. 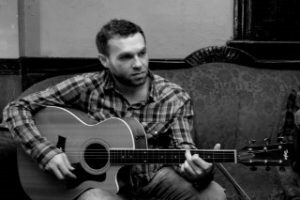 I have gone through many phases since I started out as a professional guitar player in Chicago at 20 years old. Looking back, I can hardly believe I'm the same person! It took a long time to figure it out, but I am fortunate to be able to live in this city and do nothing except perform and write music. Here’s the short version of my story—piano obsessed Midwestern farm girl moves to the big city to chase her dreams. 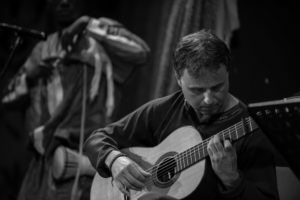 My name is Carlo Basile and I was born and raised in Chicago but I always wanted to connect with other cultures. 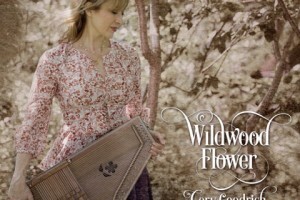 Grappel/Cohen Recording Endowment winner Cory Goodrich pays tribute to the roots of country music and the Carter Family with her folk album, Wildwood Flower. Three years ago, I was cast as June Carter Cash in a production of Ring of Fire, and our music director, Malcolm Ruhl, insisted I learn the ‘harp for the role. I started looking for teachers (there are few), looking for harps for sale (nowhere in Chicago) and I came across a publication called Autoharp Quarterly. In this magazine, I found an application for the Cohen/Grappel Recording Endowment, and on a whim, I applied. I never thought for a second they would pick me. Greetings, readers! This is Kevan Eftekhari from the band Fire Hot Opera. For those of you who don’t know us, you may be asking yourself, “What is Fire Hot Opera? Is it an opera? Is it on fire? Is it hot?” Well, that’s what I’m here to explain today. 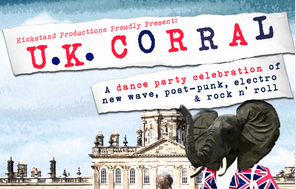 Music fans, this one is for you! Sammi here, bringing you exciting news from our local Chicago music scene. If you like electronic pop music, you’re going to love what I have in store for you.